WWII mythology continues to portray Poland as trying to stop German tanks with horse-mounted lancers. In fact, Poland did have some experience with armor and had several models of half-tracks, armored cars and tanks when the German initiated their invasion in 1939. 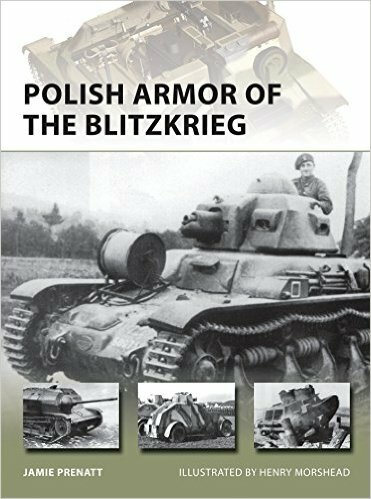 Many of the machines were at least as good as the armor the Germans were forced to use during their initial campaigns but Poland faced many obstacles in the use of their tanks, including an almost unworkable mobilization system. Jamie Prenatt does an excellent job of discussing the various weapons involved and providing examples of the vehicles in combat. The artwork is first-rate and the book includes great photos of these virtually unknown machines in action. An excellent supplement for anyone studying the Poland campaigns.